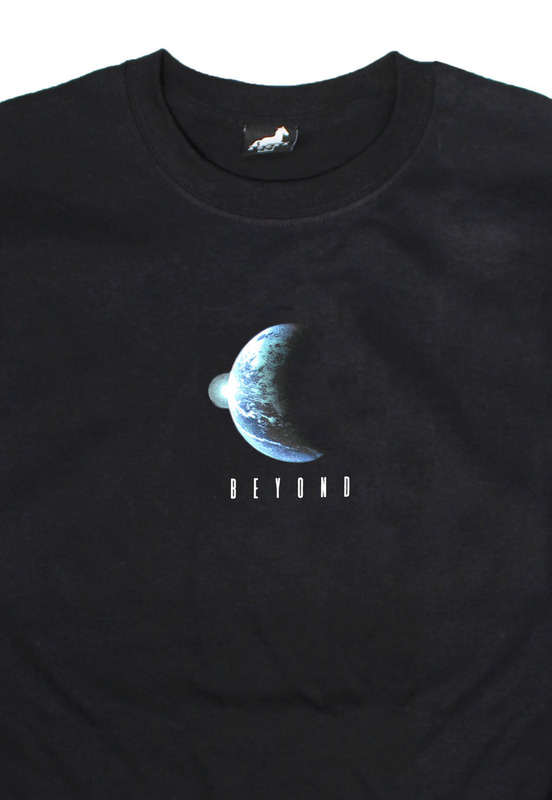 Agora Beyond T Shirt in black. Medium weight ring-spun cotton crew neck with printed chest. 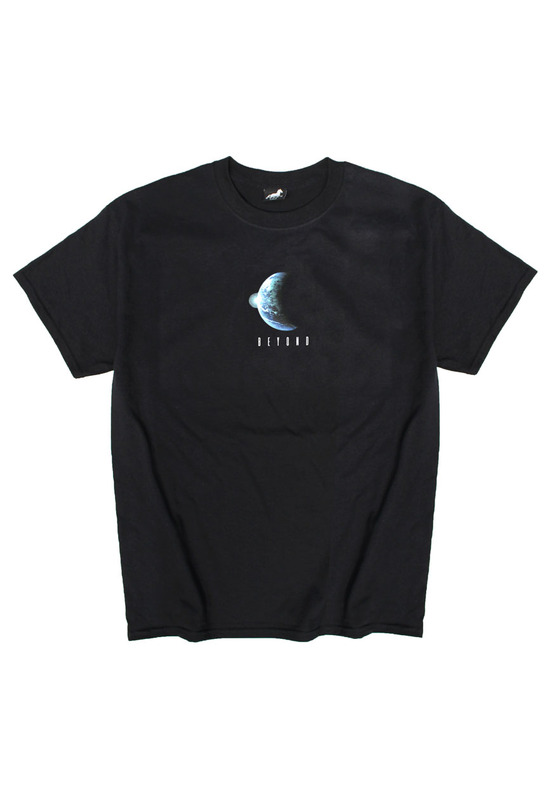 Regular fit t shirt that fits true to size.